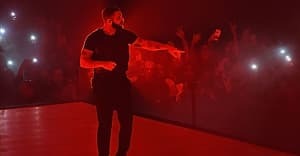 The duo teamed up in Portland itself for the More Life track’s live debut. Travis Scott is currently on his Birds Eye View tour across north America, Last night, April 19, he stopped off in Portland and brought out special guest Drake to perform More Life track "Portland." The pair also played “Gyalchester” from More Life, plus “Know Yourself." The performance ran smoother than the last time the pair played together, when Scott "flew" in London. Check out footage from the Portland show below.